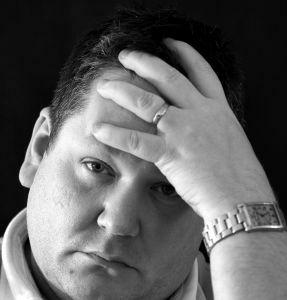 Does Super Bowl Hangover = Legit FMLA Leave? The Monday after the Super Bowl has become “the biggest unofficial holiday of the year, with 1.5 million people calling in sick as a result of the game and about 4.4 million people will show up late for work,” according to a report by workforce management firm Kronos. There’s even a movement to make the post-Super Bowl Monday into an official federal holiday. Now, how many of those late/missing workers on Monday will try to tap into their job-protected allotment of leave under the Family and Medical Leave Act (FMLA)? And how can you legally find out if that FMLA leave is legit? HR professionals struggle with FMLA issues like this every day. 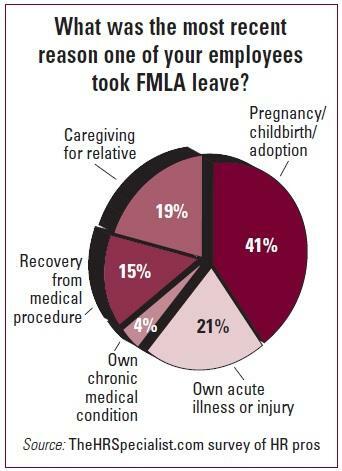 And employees have become more skillful at playing the FMLA game. 2. Enforce a policy denying the leave request if an employee fails to submit certification within 15 days. In each instance, assess any appropriate penalties for failure to be at work. Do make a final request for the certification before handing down the discipline—FMLA rules do allow an extension of time if it's not possible to obtain the form within the 15 days. 3. Examine the certification closely to ensure it has been properly completed. Many doctors will complete the form in a hurried fashion. In some cases, they’ll intentionally leave some sections incomplete in order to remain “truthful” while accommodating the desires of the patient/employee for leave. If you’re not satisfied with an employee’s certification, you may contact the employee’s health care pr ovider directly to clarify or authenticate a certification form. Of course, if the medical certification does not support the existence of a serious health condition, the leave request should be denied. 4. Require a second opinion if the circumstances are even slightly suspicious and it is an original certification. 5. Once the certification is approved, make a limited inquiry each time the employee requests more leave, particularly in the case of intermittent leave. The goal is to determine whether the leave is for the same qualifying reason. 6. Watch the schedule of absences closely in cases of intermittent leave to determine whether a suspicious pattern develops (e.g., immediately before and after weekends or days off) or whether there is a change in the frequency or timing. Such actions could suggest a change in condition that enables the employer to request a recertification. 7. Request recertifications as often as the law allows. The frequency of recertification permitted will differ depending on the type of leave and the type of serious health condition. 8. Require accrued leave to run concurrently with FMLA leave when allowed by law. When an employee realizes that taking leave today will affect future vacation time, he or she is more likely to take FMLA only when the need is legitimate. 9. Aggressively pursue potential fraud and, if strong, concrete evidence of fraud is discovered, take appropriate disciplinary action. Always follow up on reports from fellow employees or other sources that the employee does not, in fact, need leave. Following these steps will help eliminate fraud by employees who are inclined to “work” the system. Once employees become aware that you intend to use these tools to detect fraud, many of those otherwise inclined to play games with the FMLA will wait until a legitimate need arises. Nearly one-t hird of U.S. employees (32%) admit they’ve called in sick when they weren’t actually sick, according to a CareerBuilder survey. And that’s just the ones who admitted it. Communication Breakdown: Is All the Trump Talk Stressing Your Staff & Sapping Their Time? It seems to me that one of the biggest things that could be done to combat all the Super Bowl-related absences is to move the big game to Saturday, instead of Sunday. If a number of the big U.S. companies got together and lobbied the NFL to change that, I’m willing to bet that it could happen. Maybe not immediately, because of how far out the venues for the games are locked in, but at some point. There should be no reason why a Saturday Super Bowl wouldn’t work — all the college bowl games are done by then and there’s not much else going on in the sports world at the beginning of February. And the fans would love it, too……….a win-win for all, I’d think! !